Constructed in 1921, this Paice Avenue cottage was designed by Ohms Bros Builders, undergoing alteration in 1945. The original cottage was a simple square block that presented a symmetrical elevation composition marked by the central front door, framed between matching arrangements of windows to each of the street facing ‘front’ rooms. 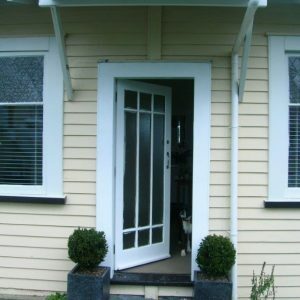 The cottage is located within a Residential 1 zone recognised for its special built character. 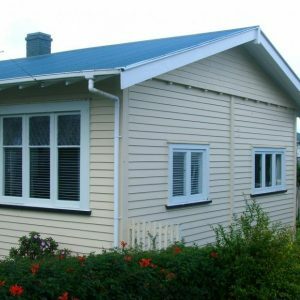 The cottage and its site are compatible with an immediate group of dwellings that are a subset of more humble workers cottages and bungalow-type dwellings. This group of buildings is, however, typically without the detail and decoration of the earlier building models, more commonly regarded as contributing to the special built character zone. A proposal to remove the cottage for relocation provides an opportunity for a replacement dwelling that is an older double-bay villa. 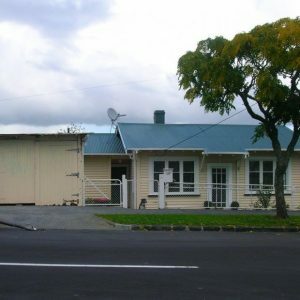 Under private commission, Archifact-architecture & conservation limited assessed the proposal the owners wished to advance in balancing perceived effects caused by the removal of the cottage in its special character zone. The resource consent was granted.